Know East Brunswick High Class of 1966 graduates that are NOT on this List? Help us Update the 1966 Class List by adding missing names. Our Reunion Committee in Florida is planning an EBHS Family Reunion in Orlando Florida for Friday February 2, 2018 to Monday February 5,2018 Weekend. We have selected The Mystic Dunes Timeshare Resort as the location for our Reunion. All EBHS Classes that graduated in the 1960's are welcome to participate. (See Details in Attachment). You can choose to stay here or at any location of your choice. As you are aware, there is many Theme Parks, Attractions, and Beaches in Florida to make your vacation here an enjoyable one. (see details of Theme Parks Attachment). I have set up this new EMAIL Account to communicate with all of you. I have provided you all with two links. Cutoff date: January 5, 2018. *Quoted rates do not include daily resort fee of $13 + 13.5% tax and a $100 refundable incidental deposit (collected at check-in). Check-in is at 4pm and check-out is at 10am. 48 Hour Cancelation Policy: We must be contacted 48 hours prior to your scheduled arrival to cancel or modify your reservation to avoid a first night's room and tax penalty. No Shows: A no-show reservation will be charged full night's room and tax to the individual. No deposit is required; full payment is due at check in. Required at check in: A minimum of one adult (21 years of age or older) a credit card and valid photo ID. Any special request you may have will be noted to your reservation but cannot be guaranteed. Daily housekeeping is not available; however, towels and tidies are available upon request at the front desk. January 5, 2018 After this date, the discount is subject to availability. The second link (below) is to advance book any discount theme park tickets. Please use the booking link below for our Florida Ticket Station website. Here you can view the wide array of discounted ticket options for Central Florida's amazing theme parks, attractions, dinner shows and more, and conveniently purchase your tickets online. To receive an additional discount of $10 on purchases of $300.00 or more when purchasing tickets online, please enter coupon code FLDRH10. This coupon code is valid for one (1) time use per household per customer. Please let me know if you plan on going to this reunion & how many will be in your group. We plan to have a Dinner on Saturday Night February 3, 2018 at The Gaylord Palms Resort approximately 5 miles from the Mistic Dunes Resort. Please let me know how many in your party plan to go to this Dinner (Details in Attachment). Pricing for dinner to follow in a future Email. I would like to know how many of you are interested in having an outdoor BBQ on SundayJanuary 4, 2018. I will schedule this event only if many of you are interested in holding a BBQ on the last full day of our Reunion Weekend. Also this Sunday is Super Bowl Sunday. We could meet that evening for a Super Bowl Party. Your earliest response would both help us better plan this event and would be greatly appreciated by our committee. More 1966 alumni from East Brunswick HS have posted profiles on Classmates.com®. Click here to register for free at Classmates.com® and view other 1966 alumni. 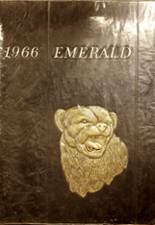 If you are trying to find people that graduated in '66 at East Brunswick HS in East Brunswick, NJ, check the alumni list below that shows the class of 1966.